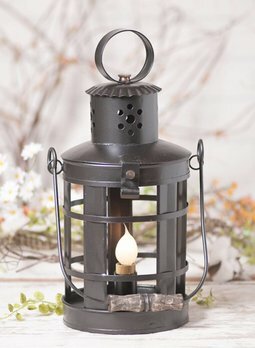 The Fireside Lamp is a stunning light! It's well balanced and sized for larger areas in your home. 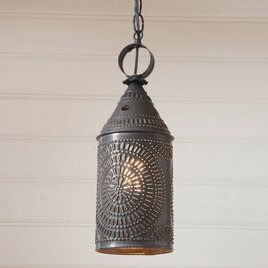 The punched tin base and shade will give you additional ambience in any room. Includes Willow Shade. Blackened Tin finish. Made in the USA. 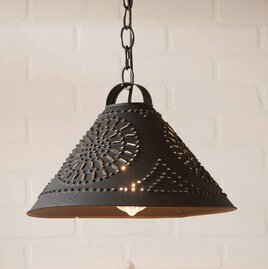 The Hitchcock Shade Light is the perfect size to use above your sink, in pairs above a kitchen island or over a bar area. 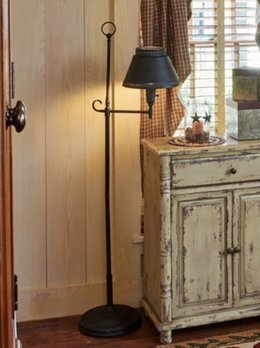 The rustic look brings a finishing touch to any room. This light has a rolled edge and a punched chisel design. Made in USA! 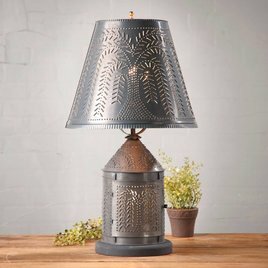 The Keeping Room Lamp is a beautiful open bottom lamp with a traditional folk art willow tree shade. 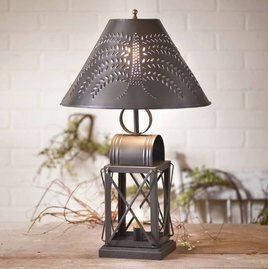 With a Smokey Black finish and it's punched willow tree design this lamp will give you great lighting for years to come! 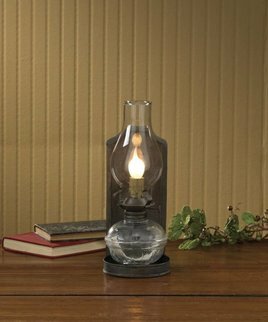 Bring a finishing touch to a side table or entry way with the Walker House Shaded Lamp. 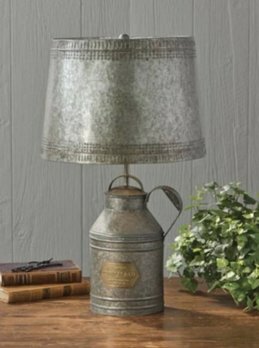 With the Antique Tin finish this lamp will appear to have been handed down. Simple and timeless! 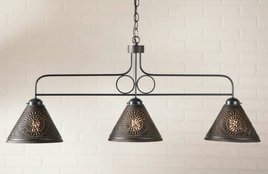 The 3 arm Westford Ceiling Light is a simple primitive ceiling light with a textured black finish. 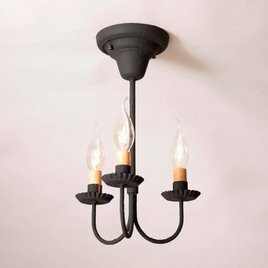 A perfect and classic touch for your hallway, entry or laundry room. 3 arms, bulbs not included. Made in the USA. 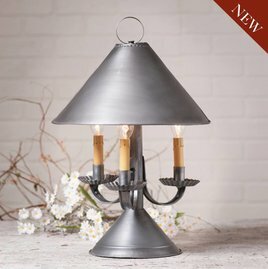 The perfect light for your island is the Large Franklin Hanging Light! 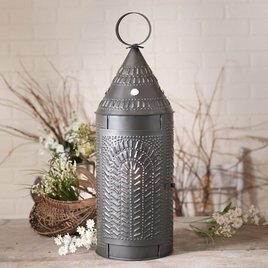 Designed for a larger island or table with a country or farmhouse theme. You will fall in love with the simple styling and punched tin shades. Made in the USA.